Twin size low profile bed frame, drops box spring to about 4.50 in. from floor as opposed to the normal 7.50 in. No tools needed for assembly. 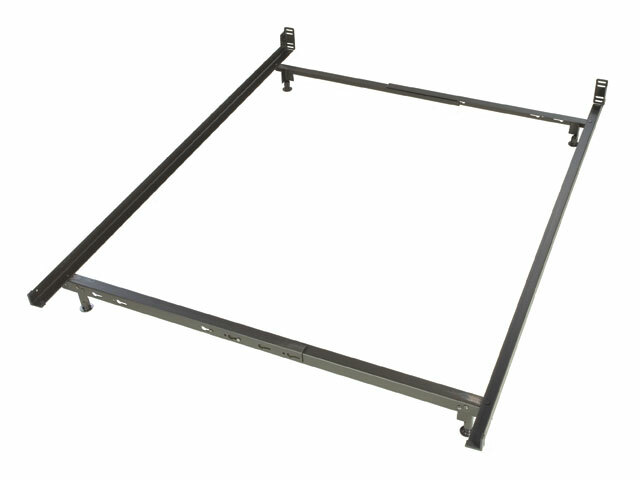 This frame comes with brackets at the head of the bed to use with a bolt-on headboard if you wish, it is not necessary. The bolts for the headboard are not included because different headboards take different size bolts. The brackets on this bed may be a bit low for your headboard. This frame uses floor guides instead of wheels. Twin size low profile metal bed frame.